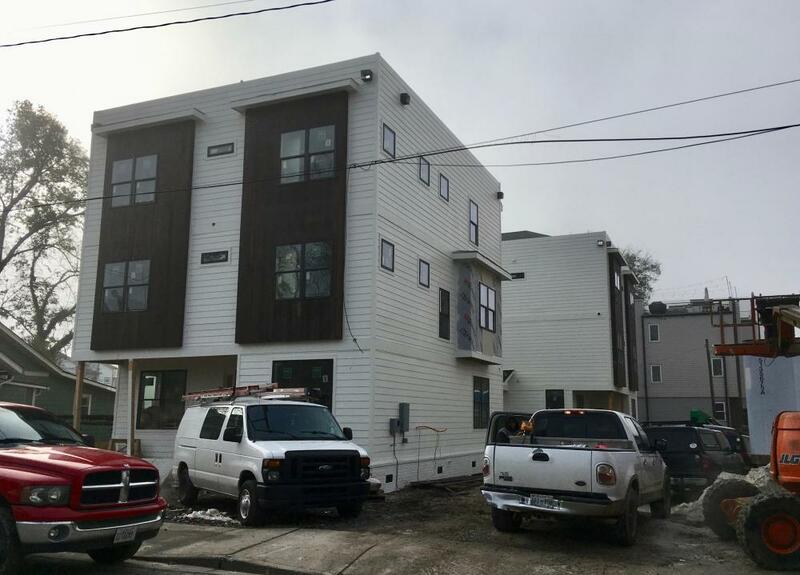 12th & Argyle Townhomes (3 stories, 4 units) update. ^ How exactly are those oriented? It kind of looks like there was a multi-car fender bender, but with residential buildings. Looks almost like stacked trailers from that Ready Player One movie. CitiView, Phase II (3 stories, 50,000 sq. ft. office space) update. Looking SE. The blasting has begun at the Fairgrounds, have felt at least 2 different blasts today. Exactly what made me post, haha! The Soho House, a London-based boutique hotel chain and private members-only club, is looking to to take up space in the May Hosiery redevelopment. It is not certain at this point if the deal is finalized yet. Now details on the amount of rooms, location on the site, renderings, etc. at this point. Speedway Motorsports has struck a deal with fairgrounds racetrack operator Tony Formosa that paves the way for NASCAR's return to Nashville and for weekly racing to remain at the venerable short track. Terms of the agreement between Formosa and Speedway Motorsports were not released, but both sides confirmed the agreement allows Formosa's already-established races to continuing running at the fairgrounds. Discussions centered around NASCAR Xfinity Series race and a NASCAR Camping World Truck Series race at the fairgrounds. ^^Good deal. Don't know if Nashville will ever get a Cup race here again...but if this helps to upgrade the site and keep NASCAR interested, that's a good thing. 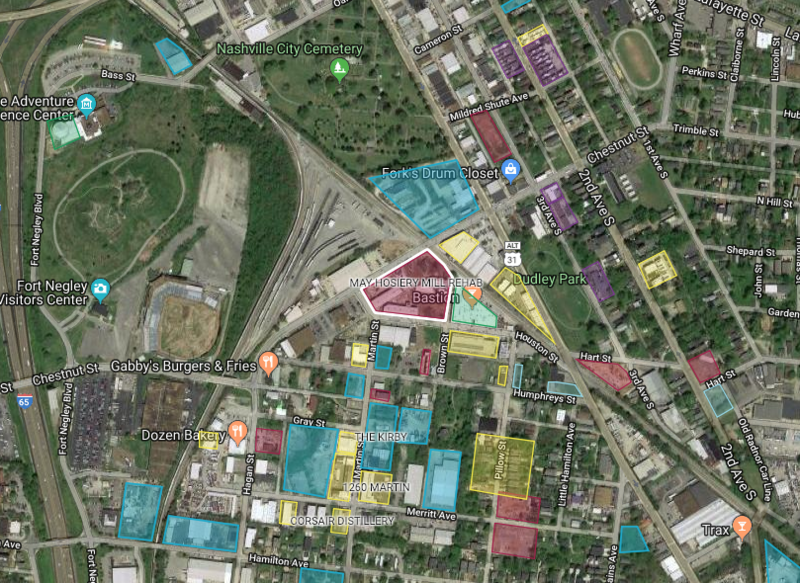 And with the acquisition of ARCA, NASCAR could have a large presence in the city (until the mixed-use residents complain and the city shuts them down ). The Collection is the name of a proposed mixed-use development in Antioch at 1638 Bell Rd. It would include 67 residential units, 1,500 sq. ft. of retail, and incorporate 31,000 sq. ft. of existing office/business school space. No renderings released yet. Up to another 1,000 residential units are coming between 3 more developments in Antioch. 1) LIV plans at least 220 apts. on Bell Road. 2) Oxford Properties is planning 301 unit project at Bell Rd. and Blue Hole Rd. 3) Whetstone Flats is planning a large second phase in the same area. Metro should pick some boundaries around the area around the mall, rezone it all for low-level urban development, spend some infrastructure money, and allow it to evolve into a walkable town center area for Antioch. Tennessee Concrete Association is requesting rezoning of the 1.87 acre site they own at 700 Hamilton Ave. in WeHo from industrial to mixed-use. Metro Planning will consider the option on Jan. 10th. Smith Gee has been hired to help design the new development. No renderings available yet. At least two of those developments have been announced for a while and are on the map. I have to check on the LIV site. 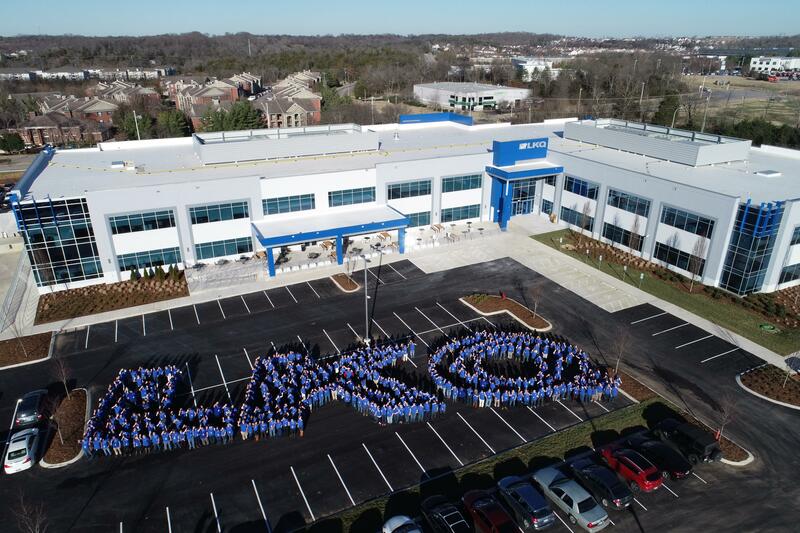 LKQ Corporation proudly had its ribbon-cutting ceremony on Monday, December 17, officially opening the doors to its new North American headquarters at 5846 Crossings Blvd in Antioch, a suburb of Nashville. “We are very excited to have a beautiful, state-of-the-art facility encompassing over 102,000 square feet, where we will bring together all of our centralized operations and over 700 employees under one roof. I don't care if they rezone it for high-level urban development. It still wouldn't be "walkable". The only way to make Hickory Hollow "walkable" would be to nuke it and start over. 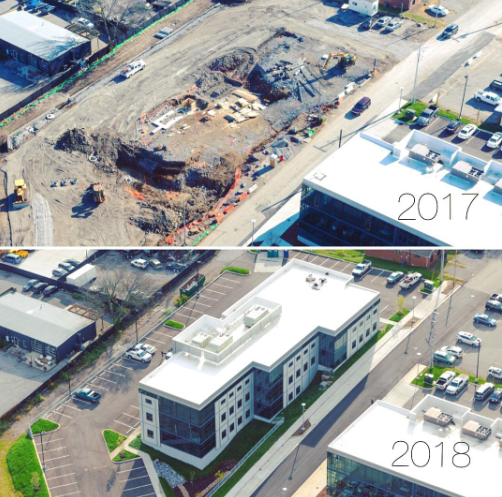 Twelfth and Wedgewood (3 and4 stories, 175 units) update. First floor above ground level underway for Phase II. A mixed-use structure that would feature 152 affordable housing units and 1,405 sq. ft. of commercial space is being planned for the .17 acre lot at the SW corner of Humphreys and Martin St. (461 Humphreys) in WeHo. 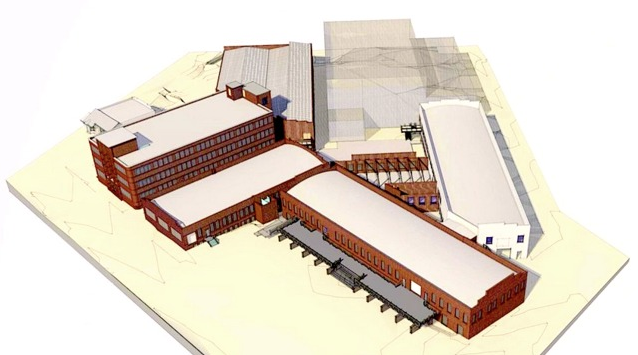 Red Horse DevCo is the developer, and have enlisted Hastings Architecture to design. 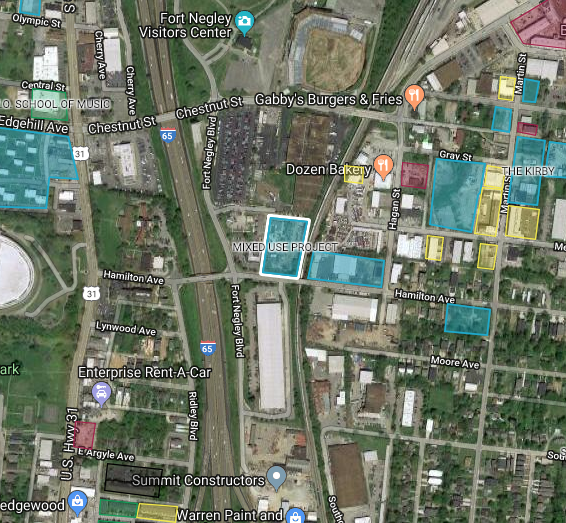 A Jan 10, 2019 Metro Planning Commission meeting is planned to get rezoning from industrial to mixed-use. No height or renderings available as of yet. So that screenshot has me wondering what the latest developments are regarding the derelict Greer Stadium site. Should we expect that this view will remain for the next few decades? Or perhaps the next mayoral round will bring it back to the table? 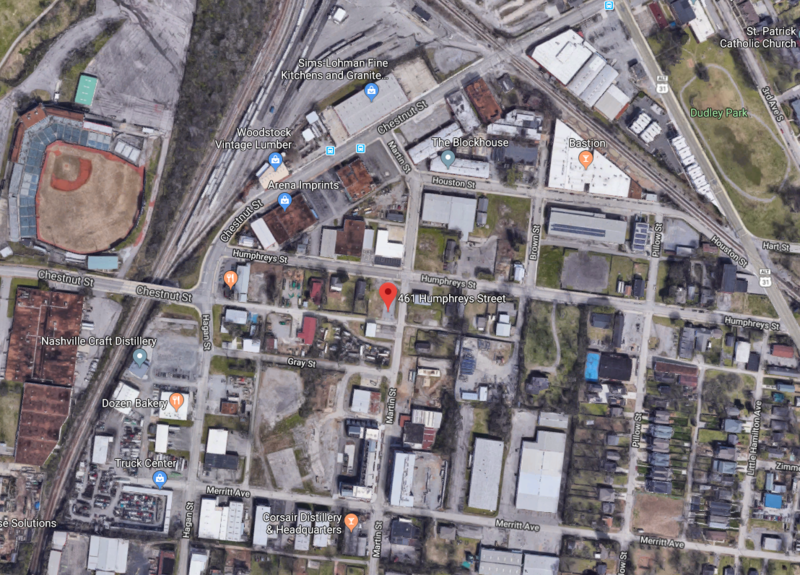 it's going to be demolished and turned into a park for Fort Negley. Mayor Bailey recently set aside a million bucks for demolition of old Greer. After that it's anybodies guess, with the historical and archeological significance of the site, I doubt any development besides parks happens on it. Cool, thanks. Is there a timeline for that?